I had a BLAST creating this new custom portrait that any future astronaut would love! 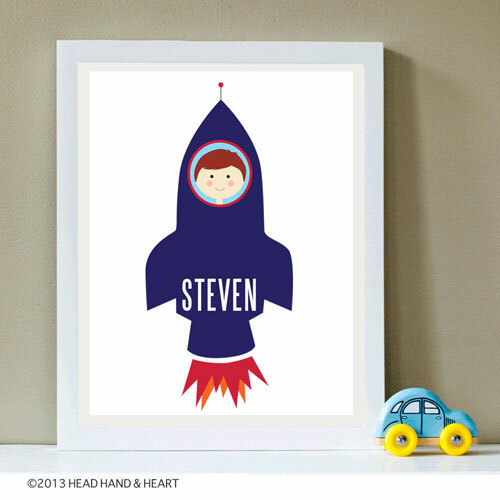 This one of a kind print is perfect for a child's room. Personalized with not only their name, but also a portrait of them launching into space. What could be more fun? Click here to see the print in my shop.